There are several banks and ATMs available throughout the mall. Tatra Bank's ATMs are located next to the escalator near Billa and C&A stores. VUB's ATM is located near the CILEK outlet. Unicredit's ATM is also next to the escalator near Billa. Every parent knows the regular restrooms do not offer comfort for tending to babies and small children. Therefore you will find changing rooms in the vicinity of all restrooms. Charging stations for your mobile devices are situated cross whole shopping center. Two charging stations are located on the entry / exit to the underground garage of the yellow / green zone. If you need childcare, the staff at the Timeout children's corner will happily take care of your children. At Bory Mall, we care about your comfort. Our parking lot holds more than 2,400 spaces and you can use it free of charge for the entire time spent with us. Have you arrived on a bike, a motorbike or with the whole family? We have parking spaces reserved especially for you! Of course, disabled parking spaces are a must! Our visitors may enter with dogs, but in order to make other visitors feel comfortable, certain rules must be observed. No dangerous dogs, dogs taller than 50 cm and dogs without a muzzle and a leash (apart from guide and assistant dogs accompanying persons who can prove their disability status with a respective ID, and apart from caged dogs or those whose free movements are restricted by a container) are allowed. If you need first aid, please, turn to the nearest security guard or Infopint. The security officers are trained and know how to act and proceed in such highly stressful moments. Are you clueless about what presents would find your loved ones, friends, employees or business partners best? A gift card worth €10, €20 or €50 wrapped in impressive envelope will do the trick. The gift cards are valid through a year from the date of their issue and they are accepted in designated Bory Mall stores. You can download the updated list of stores accepting the gift cards HERE. You can buy the gift cards in cash at the information desk located on the ground floor of the mall every day 9.00-21.00. Infopoint is closed in this times: 13.00-13.45 and 17.45-18.00. We will be happy to assist you if you have any queries about the stores, opening hours, events, new items or services at the mall. You can also buy gift cards here. Do not hesitate to contact us either in person or over the phone - we are here at your service. In order to find your way around Bory Mall stress free, use navigating interactive maps next to the escalators and the mall's entrances. All you need to do is to enter your destination and the interactive map will show you how to reach it. Moreover, it can offer advice on suburban bus and Bory Mall shuttle schedules. If your children do not have fun shopping, let them entertain themselves in new areas designated for the kids directly in the mall's passage ways. Your children may enter the areas free of charge. However, we kindly ask you to adhere to a few rules: entry with no shoes, drinks, ice-cream or food. The kids areas are located outside Slovenská Sporiteľňa, Time Out kids club or Cilek stores. Download the Bory Mall mobile app and navigate your way around easily and with style. 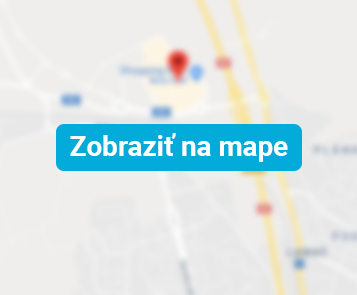 If you are coming to Bory Mall by bus or by car, the app will show you the shortest route. You will learn among the first about the news and events and thank to the Fotolist, you can ask your friends what suits you best prior to making a purchase. If you cannot stand dragging your coats or jackets while shopping or if you just need to deposit your purchase somewhere so that you can keep hunting for jewels in our stores, feel free to do so making use of safe lockers at entrances from the parking lot in yellow zone. If you get suddenly overwhelmed with shopping fatigue, refresh yourself at our pleasant cafés or relax in sitting zones located directly in the mall's passages. Those will be certainly favorite with gentlemen waiting for their significant others. Since the zones have wifi coverage, no boredom should be feared. A concept of an open air garden inside the mall awaits especially those visitors who charge in green and fresh air surroundings. Do not hesitate to take a rest at our Tornado. We have wheelchairs for mobility challenged customers. If you wish to make use of this service, we will be glad to assist you at Infopoint. The wheelchairs are available during mall's business hours. There is free Wi-Fi throughout the Mall.